Heroes, Heroines, and History: Medieval Pets and a GIVEAWAY! Medieval Pets and a GIVEAWAY! As an animal lover it's easy for me to find a rabbit trail in historical research when it deals with animals. My husband and I have been forced to be away from home for an extended amount of time due to a clinical trial and that has left both him and me missing our four-legged friends. 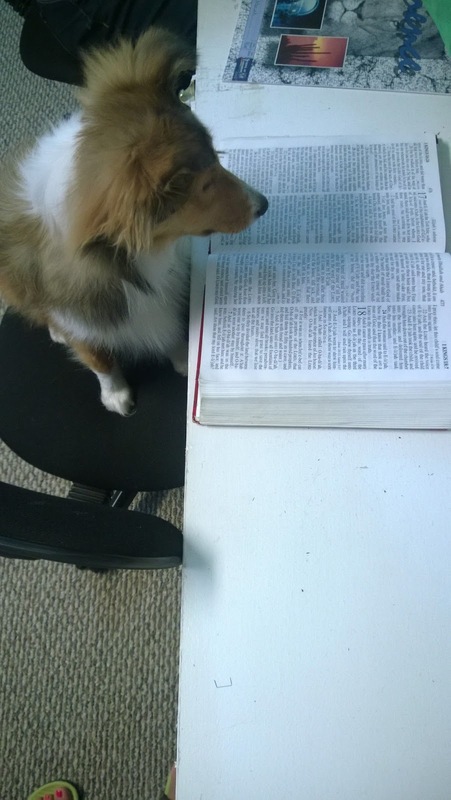 Kennedy doing her morning bible study. 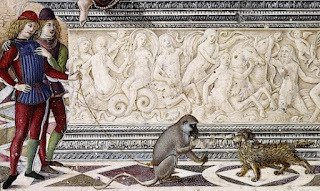 So as you can imagine when I stumbled across Medieval pets in my research for my sequel, Sword of Trust, it had me at pets! We often have been told that medieval people did not have animals for pets, but in my research I'm finding that wasn't always the case. 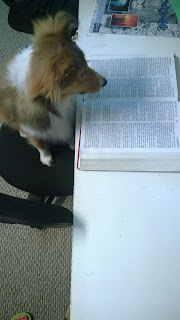 If we go back even further to bible times we find they had pets even in the Old Testament times. In II Samuel 12:3 we read: but the poor man had nothing except one little ewe lamb he had bought. He raised it, and it grew up with him and his children. It shared his food, drank from his cup and even slept in his arms. It was like a daughter to him. That sounds very much like a pet to me! Winchester: Can I go for a ride? PLEASE mom?? Jump forward to Medieval times again. 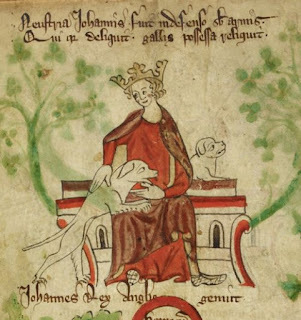 Dogs were used for many purposes, hunting and protection being the most common. But Dogs as well as other animals were kept as pets. However, not without criticism. 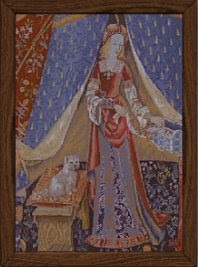 Keeping a pet was considered frivolous and a waste of food that could have gone to feed the poor. It's easy to understand this when so many of the peasants didn't have enough food to feed their family. Aiden: You want me to do WHAT? Cats were another animal that were used for working purposes. As you can imagine they were used as mousers and to keep the number of other vermin under control. But cats as dogs were kept outside of the working animal as pets. Although they certainly weren't found in every home or even as much as people today have pets, they were kept for the owners entertainment and companionship. We even have medieval paintings with people and their pets. 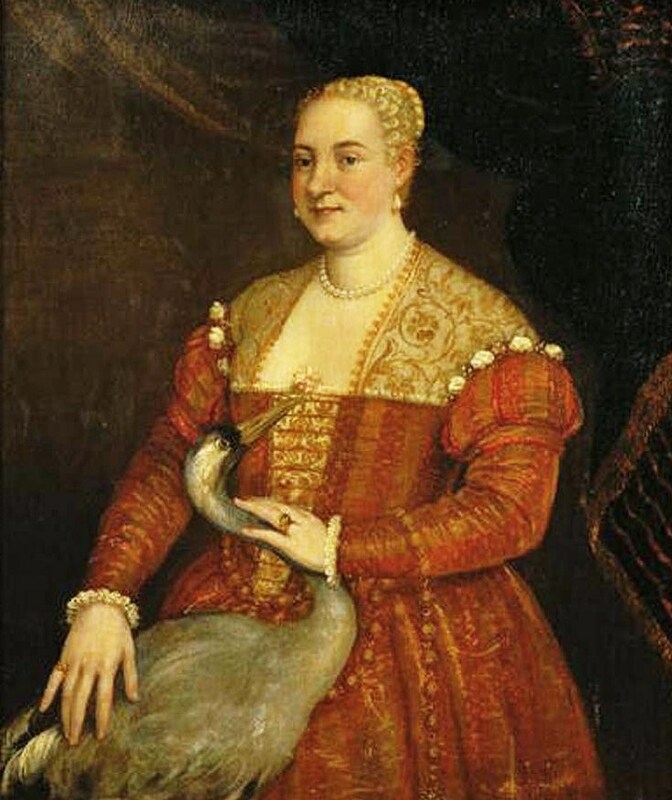 While dogs and cats don't seem like odd pets, parrots and singing birds were another desired pet in medieval times. More unusual animals that I found reference to as being kept as pets were, monkeys, squirrels, and even badgers. 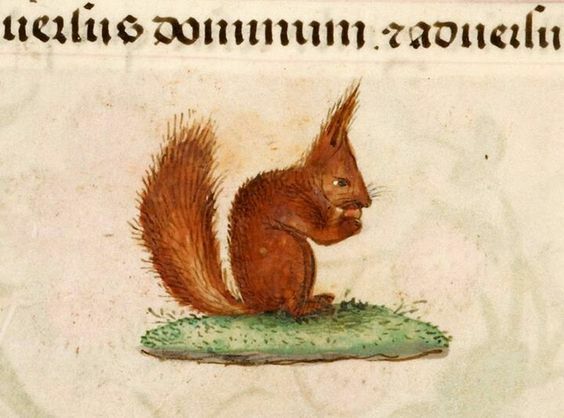 In my upcoming sequel, Sword of Trust, I have a faithful dog, a pet cat, and a needy squirrel. I plan to have much fun writing these little characters into my story. I love my animals that are here with me and gone, too. They are such a comfort and ask nothing from us. Thank you for your interesting post and giveaway. I love dogs and I have two four legged favorites...Heidi and Josie! They are full of energy and they love unconditionally. My most favorite pet is my dog Molly. She is a mixed breed dog and I never thought I could love a animal as much as I love her. She is loyal, faithful and very loving. She does bark a bit too much, but I love her anyway. Thanks for the giveaway and I would love to read Shattered Memories. Hey Debbie. Dogs are so loyal. I had one that wouldn't leave my side while I was sick. I was in bed for about a month and she laid by me the whole time. She was still a puppy too. But when I recovered it was like she knew and she got up and went back to being a playful puppy. That was 20 years ago now. I sure miss that girl. We have 2 cats. So yes, a cat lover. We first got them because they would probably keep to themselves - less maintenance. HA!!!! They act like dogs. Always wanting attention, following us to every room we go to. Petting is required etc... Would not trade them though. We got both cat and dog in one :). Thank you for opportunity to win one of your books. I have not had the chance to read a book by you. During our 37 year marriage, my husband and I have had many pets in our lives (8 cats and one dog) and while I loved them all, my favorite was our Shepherd/Collie/Husky mix, Ginger. She was gentle with our children and loved to snuggle up with all of our cats so our home was peaceful and loving. She used to talk back to me when scolded! My husband thought it was quite amusing that we both felt the need to have the last word! Unfortunately, we lost her shortly after my mother died and we were broken hearted, but the entire family has loving memories of our time with her. 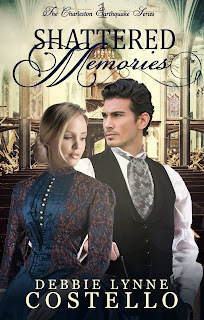 I'm sharing your post on my Facebook page and I would love to win a copy of Shattered Memories. Thank you for sharing, Diane. Your Ginger sounds like a sweetheart! She reminds me of the dog we had as a kid. It was a small poodle and he would have to oof after being scolded. One time it went on for hours. I'd shush and he'd oof. Finally there was this 15 minute pause and he couldn't stand not having the last word and as he lay under the end table we heard a quiet, "oof". Dog lover here. I have nothing against cats just allergic to them. cheetahthecat1986ATgmailDOTcom. Hey Kim. I'm a dog lover and a horse lover. But I do love all kinds of animals. I've always been that way since I could remember. I stop to help turtles across the street. Put birds back in their nests. Feed wild animals. And I can't watch nature shows that one animal is killing another or they show elephants starving, or animals dying of thirst. It makes my heart sad. Hi Debbie Lynne. 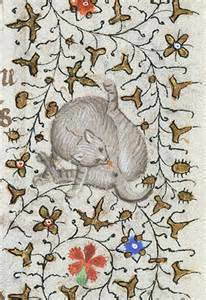 I love your post on medieval pets. I've had some wonderful pets through the years--mostly cats and dogs. Ive tried to save both a baby squirrel and a piglet, but sadly, both died. I do enjoy animals, but right now, I don't have one. I'm praying for you and your husband. Thank you, Kay! We will continue to need the prayers because doctors say there is no cure but we know God has a cure!! My friend's cat loves the laser. I have a good time getting the cat to climb the walls after the red dot. ;o) Thanks for sharing with us. My most favorite pet is my cats, they are a creature of comfort just like me! Would rather just be and relaxed! But I Loved Having a pet raccoon his name was sockie pot and he was so much fun riding on our feet as we walked and scared a lot of people! Lol. 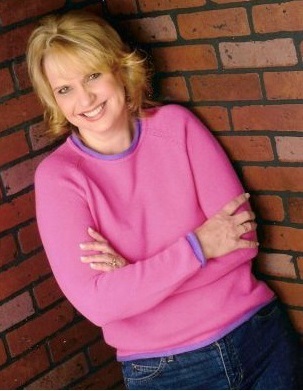 You are a New Author to me your books sound really good and would be honored to win one! Thanks for the chance! Hey Justina!! Thanks for coming by. I hope you win one of my books. Oh my goodness! I love raccoons. How did you come upon a pet raccoon? How much fun that would be! They are so cute and can be so sweet. I'd love to hear about him. Hey Kim! Thanks for coming by. It's amazing how we fall in love with our pets and they become family, isn't it? Thanks so much for sharing. I could do a pet raccoon! They are so cute. 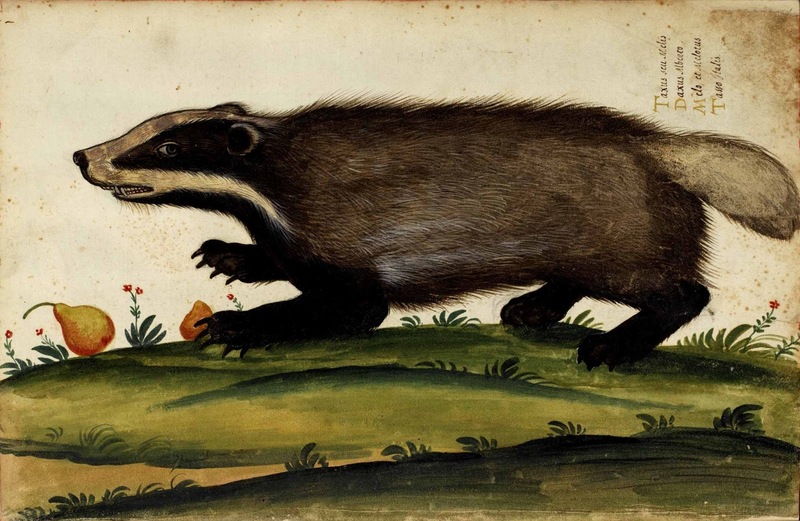 I'm not so sure about a badger. Those things can be mean!! Now a hedgehog is cute but one couldn't cuddle with it. It's be like cuddling with a porcupine. LOL! I would love for you to read Sword of Forgiveness! Good luck in the drawing! I have both a dog and a cat. My cat is the one who takes the top place (don't tell my dog though). I never thought about peasants keeping pets but I loved the reminder of the biblical reference to the man and his little lamb. Thanks for the information and the giveaway. Thanks for sharing, Loraine! I had to giggle about your cat running the roost. I have an 8 pound sheltie and an 85 pound German Shepherd. My 8 pound sheltie will grab hold of my GS's jowls and put that 85 pound dog to the ground! I'm pretty sure I will always have a pet. I would like to have a dog and cat or two cats. I have an 18 year old cat now and she is my best friend. Enjoyed your post on medieval times. Love historical fiction. Thank you for coming by, Dianne. I'm with you, I think I'll always have pets. They can cause worries when one needs to travel but the love they give far outweighs the negative! My favorite pet is a cat. 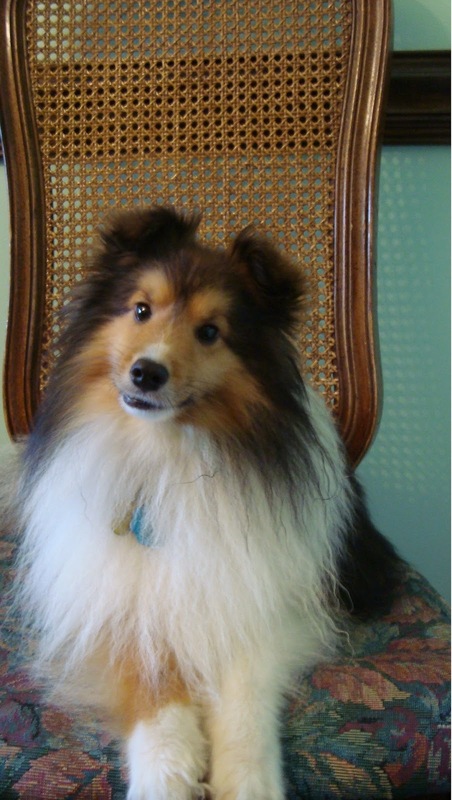 Cleo, my 14 year old darling, appears in the novels I am writing set in pre-revolution Charles Town.The first one is Hold Me Close, avaliable now. I recently orderd Shattered Memories and would love to read Sword of Forgiveness. Loved your post on pets. Thank you for ordering SHATTERED MEMORIES! I love your cat's name. Thanks for stopping by. Good luck in the giveaway. Hey Alison! Ellie sounds like a super sweetheart. I bet she's adorable. Those little critters find their way into our heart and never let go! Thanks for coming by and sharing. Good luck! Monkeys and badgers? I'll stick with dogs as pets. Norman Fred and Petey Pan are my babies. And any book with a dog in it is totally worth reading.....especially written by you. AWE, Thank you, Chappy! I do love my dogs. Monkeys are cute but ugh I can't even imagine having one in my home! An a badger? Well, I stick with my puppies. I have 2 cats, plus had another who died very suddenly 2 years ago. I think they have all been favorites! They have all had very different personalities but the one thing they had in common is that they adore me. I think it's because they know who feeds them. Thanks for the interesting post! LOL! I know what you mean about them knowing who feeds them. Our friend's cat knows I'm a softie and will feed him from my plate so guess who he begs from? Very interesting post-- a badger? That's crazy! LOL! A pet elephant? I am still giggling!! Oh my goodness, I can't even imagine. But they sure are a cute animal. As big as they are they are so dog-gone cute!!! Hey Lisa, I think Portuguese water dogs a so pretty. I don't like them as well with their hind quarts shaved. Thanks for coming by. Good luck in the giveaway! Debbie Lynne, thank you for this fun post! I know you are ready to be home with your fur babies! I grew up with Labrador Retrievers. Three years ago, I lost my 11 year Golden Retriever, Happy. Caryl, I am! It's so hard when we lose our pets. They are like family. Labs are such wonderful dogs. If one can just get past the first 2 years of chewing!!! After that I think they make one of the best dogs. Thank you for coming by, Lynne. Cats can be a lot of fun and are so low maintenance. Good luck in the giveaway!! What a fun and interesting post. 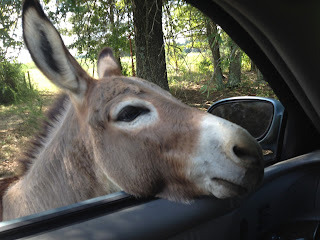 How fun to have pets that are not the norm. It would make for some fun times and interesting conversations. I had a rooster as a pet when we were first married. I've had many cats and dogs during my life and have cats now. I would love to read a copy of Shattered Memories. I have not read many books about earthquakes and it sounds like an interesting book. Thank you for the giveaway opportunity! Hey Deanne! Thanks for coming by. A pet rooster. That is an unusual pet. Animals just make such a wonderful companions. Good luck in the giveaway. I hope you get a chance to read Shattered Memories. Dogs are such great pets. Enjoyed this post. Hope to win a book. Good luck Phyllis. I love my dogs, too. Thank you for coming by. Hey Jan! Ouch! That's the bad thing about wild animals...They bite! I hope you get to read my books. Golden retrievers are such big teddy bears. I love those dogs. Thanks for coming by and sharing! I only have chickens now and I love all their different personalities. I loved Shattered Memories, such a wonderful book. I'm sharing on FB. Thank you for the chance. Happy Mothers a Day. Thank you, Lucy! We want to get chickens as soon as we move out to our farm. I never thought they would have different personalities. Now I can't wait to get them! I'm so glad you enjoyed SM!!! Good luck in the giveaway. I love my kitty cat Spooky=) She has been with me for more than 10 years now. I would love a small dog, but now isn't the right time for that. To much time away from the house right now. I would love to read Sword of Forgiveness, I have already read and enjoyed Shattered Memories. Hey Patty. I'm so glad you enjoyed Shattered Memories. :o) That is one of the big difference between a dog and a cat. Dogs do need people at home but cats seem to do well with people away a good bit of the day. Thanks for coming by and sharing. Debbie, I'm not really into pets, but I would like to read this book. The plot sounds interesting and I enjoy the time period. Also, Charleston is one of my favorite places! MaryLu Tyndall just highly recommended this book too, so I should definitely read it. Thank you, Sylvia! MaryLu is an awesome author and I'm honored that she highly recommends it! Thank you for coming by. I hope you get to read my books! If I had a pet, it would be a cat. Unfortunately, due to allergies, I can't. If it flies, crawls, barks, mew's, swims, gallops, I'm allergic. Awe that is sad. :o( My animals are such a comfort to me. And of course you know my hubby an I love to ride. My son is terribly allergic to cats and horses. He avoids them so I understand. Wishing you the best in the giveaway! I would love to read Shattered Memories. Thanks for the chance to win. My favorite pet was a dog my family had when I was in college. His name was Toro and he was part chow amd mostly mutt! Mutts make great dogs. Nothing like a heinz 57 :o) Thanks for coming by and good luck! I don't have a pet right now but I have had poodles before. I love small dogs. Thank you for the opportunity to win one of your books. Hey Brenda. I grew up with poodles. When I was a kid we had an 8 pound poodle and later on a 3 pound teacup poodle. They are soooo cute! Thanks for coming by. Good luck! I have 3 outside cats but I have always preferred dogs. After we lost two dogs in a short time my husband said "no more dogs"! 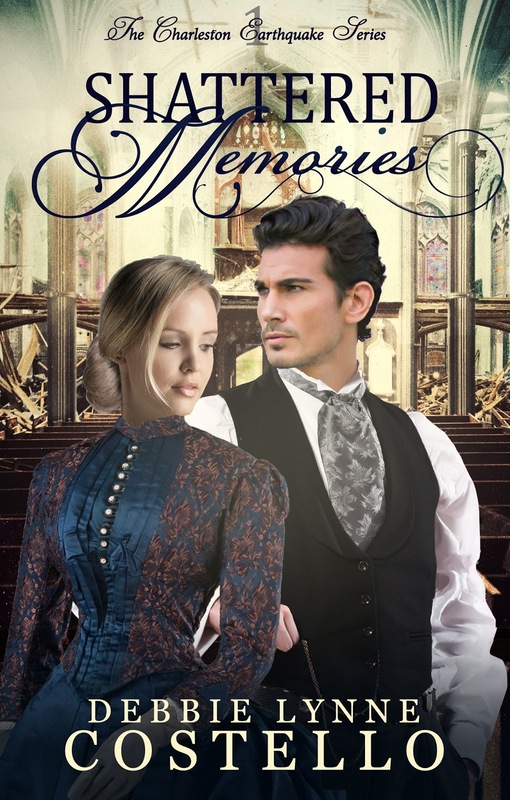 I would love the chance to win Shattered Memories. Thanks for this giveaway. Hey Connie! Thanks for coming by. It is so hard when we lose animals we love. When we lost our prairie dog I said no more prairie dogs. Their life span is too short to fall in love and lose them in a short amount of time. I love dogs. They are so loving to humans. If I go anywhere even if it is just 10 minutes my little dog has fits when I come back. She is so glad to see me. I would love to win Sword of Forgiveness as I have already read Shattered Memories. (BTW it was so good)!! spotts06(at)comcast(dot)net. Hey Stella! I am so thrilled you enjoyed Shattered Memories! I know what you mean about dogs being so loving. They just warm my heart!! Thanks for stopping by. I loved Shattered Memories. Would love to read Sword of Foregiveness. Thanks for coming by, Virginia. I'm so happy you enjoyed Shattered Memories. Good luck! I'm about to draw a winner!! Congratulations Diane B. You won a copy of Shattered Memories. I'll be contacting you shortly.